Covering over 750 square kilometers of wilderness in the Crocker Range, Kinabalu Park is Malaysia's first World Heritage Site. 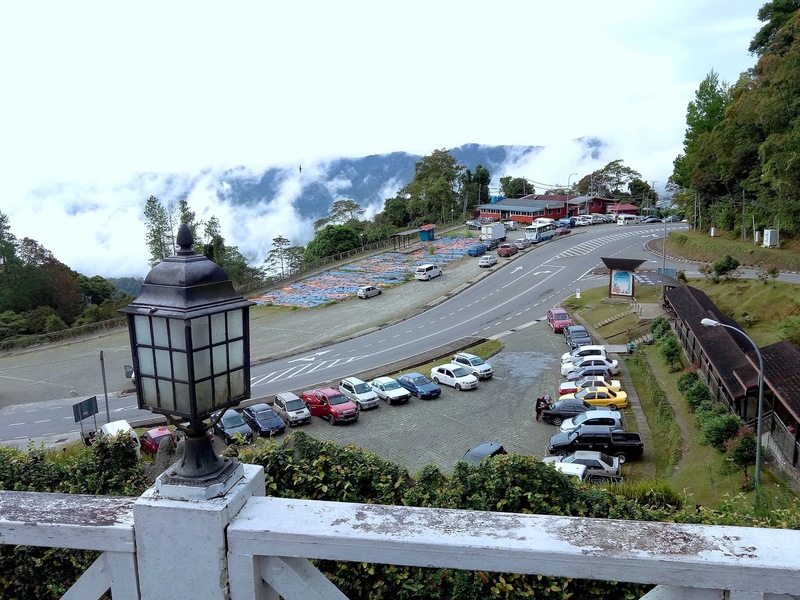 Kinabalu Park Headquarters is located near the town of Kundasang, approximately 2 hours by car from Kota Kinabalu. 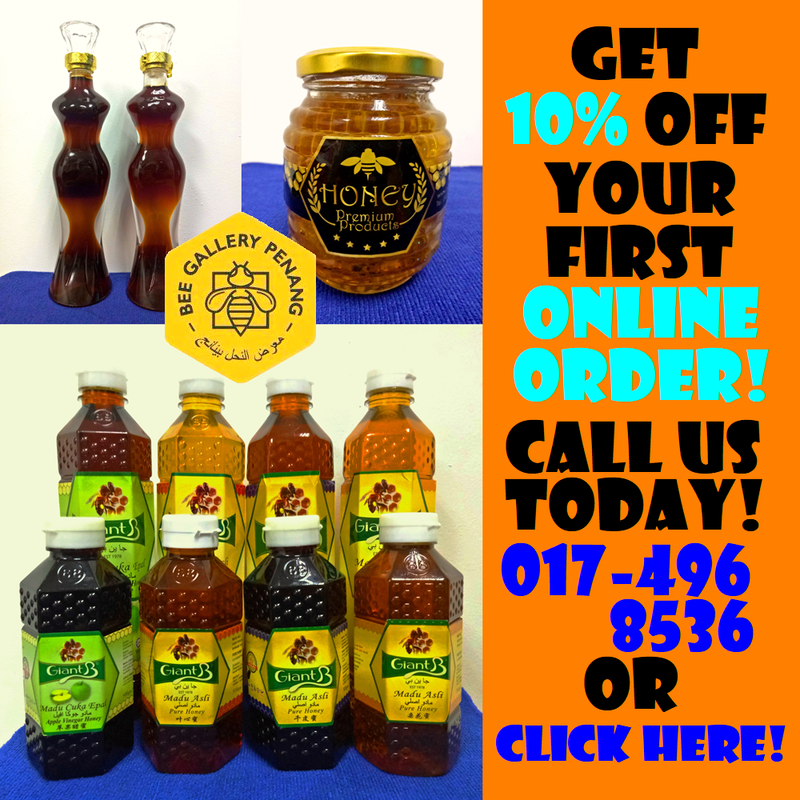 The admission fee is RM3.00 for Malaysians and RM15.00 for foreigners. 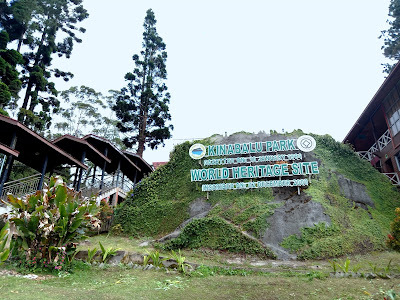 Visitors are allowed to drive inside the park but parking spaces are limited. Fortunately, there are ample parking spaces just outside the park entrance. 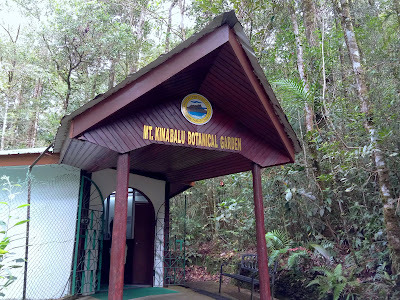 The heart of Kinabalu Park is Mount Kinabalu. At 4,095 meters above sea level, Mount Kinabalu is the highest mountain in Malaysia. The mountain is so tall that clouds tend to go around it. The journey to the summit usually takes 2 days. 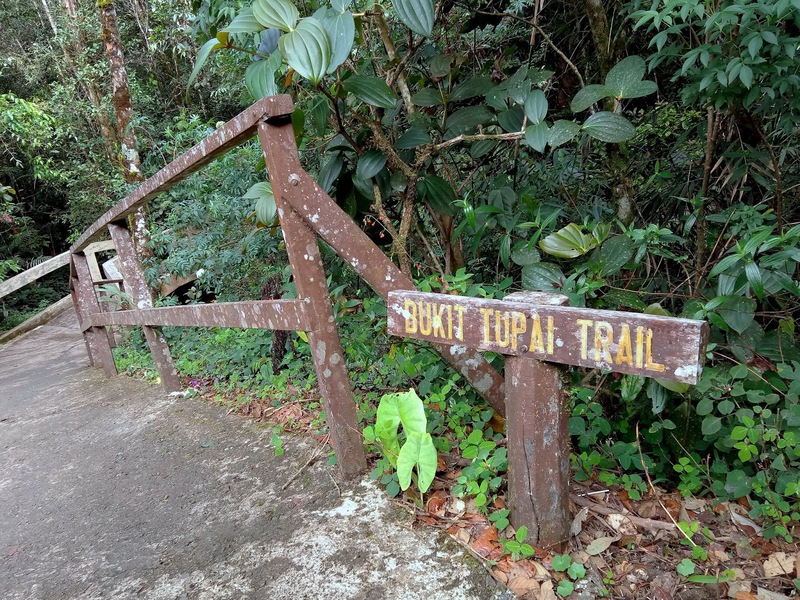 Most climbers depart from Timpohon Gate near Kinabalu Park Headquarters. After camping overnight at Laban Rata, climbers make the final push to the summit around 3:00am in order to catch the sunrise. 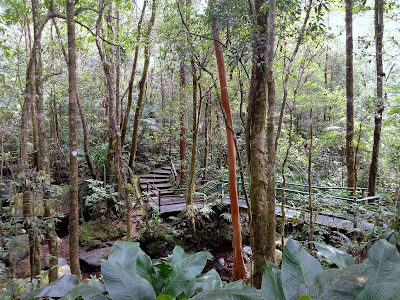 For visitors who do not intend to climb Mount Kinabalu, there are many hiking trails around Kinabalu Park Headquarters. 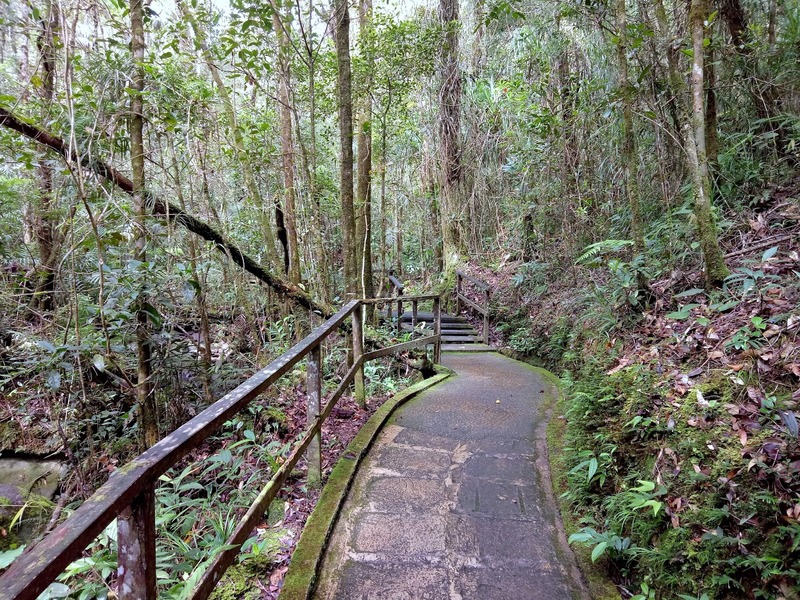 Some of these trails lead to scenic overlooks. If you are visiting Kinabalu Park for several hours only, it is a good idea to visit the Botanical Garden near Dewan Kinabalu. The garden is open from 9:00am to 4:00pm. 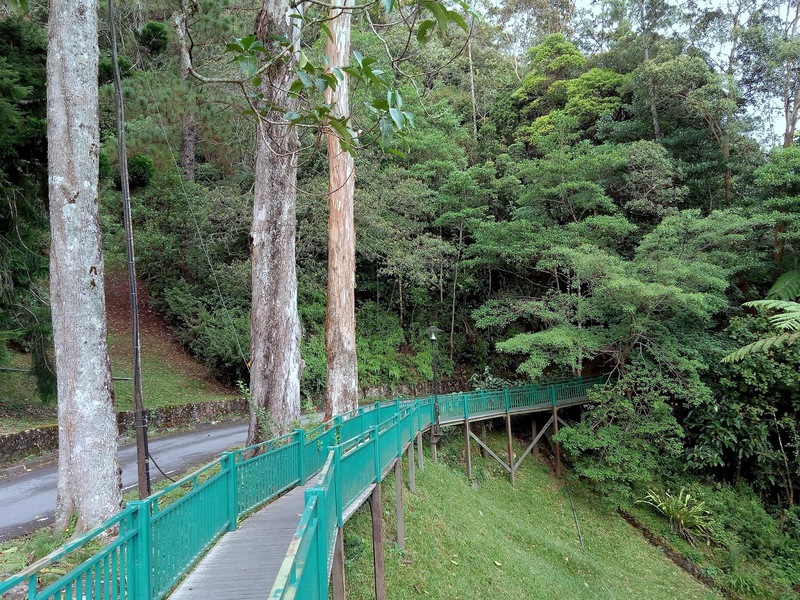 Admission to the Botanical Garden requires a separate ticket, which costs RM4.00 for Malaysians. 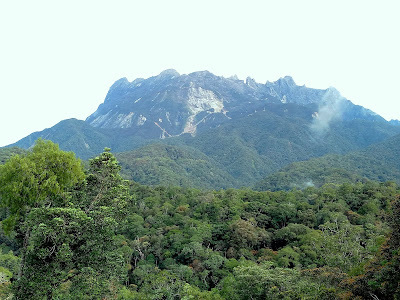 The slopes of Mount Kinabalu span four climate zones, making Kinabalu Park home to countless flora and fauna species. Botanical Garden exhibits many native plants that one might encounter in the park. 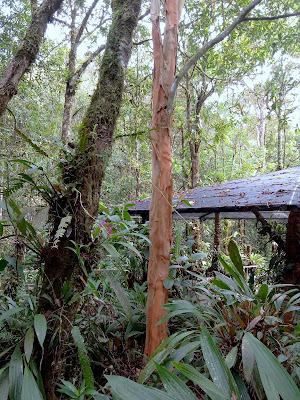 Many of them are used as traditional medicine by indigenous Dusun people. A walking path takes a loop around the 5-acre Botanical Garden. It is possible to complete the trail in less than 30 minutes. 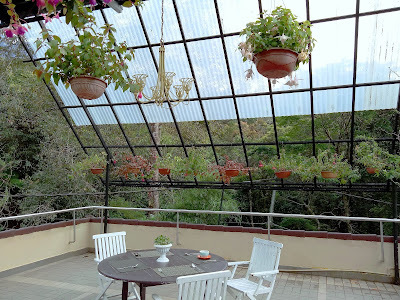 But if you are truly interested in botany, you can easily spend hours here. High precipitation on the slopes of Mount Kinabalu makes the air here perpetually damp. The mountain is also the source of many rivers and streams. Tristaniopsis, known locally as "lumu lunu", is one of the prominent plants here. The tree appears "naked" because it sheds its bark frequently. This prevents parasitic plants from growing on it. 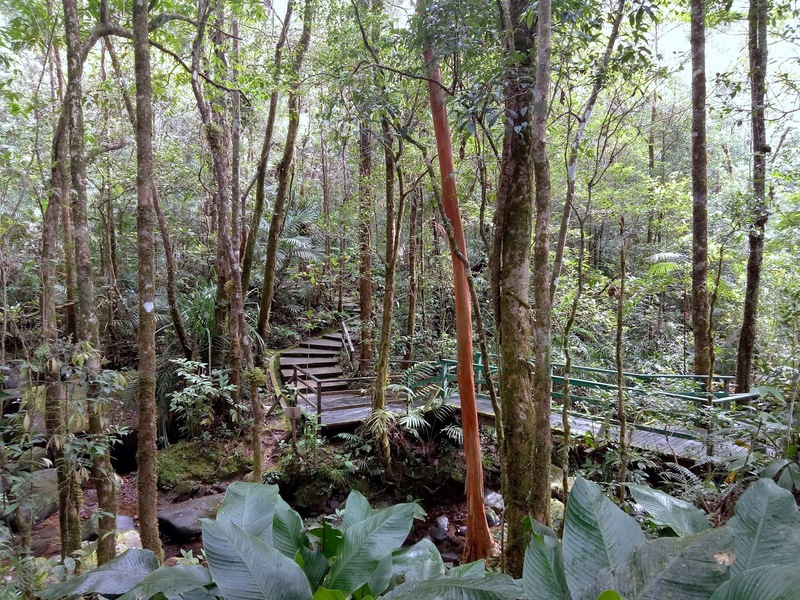 Ferns cover virtually every square inch of the rainforest. 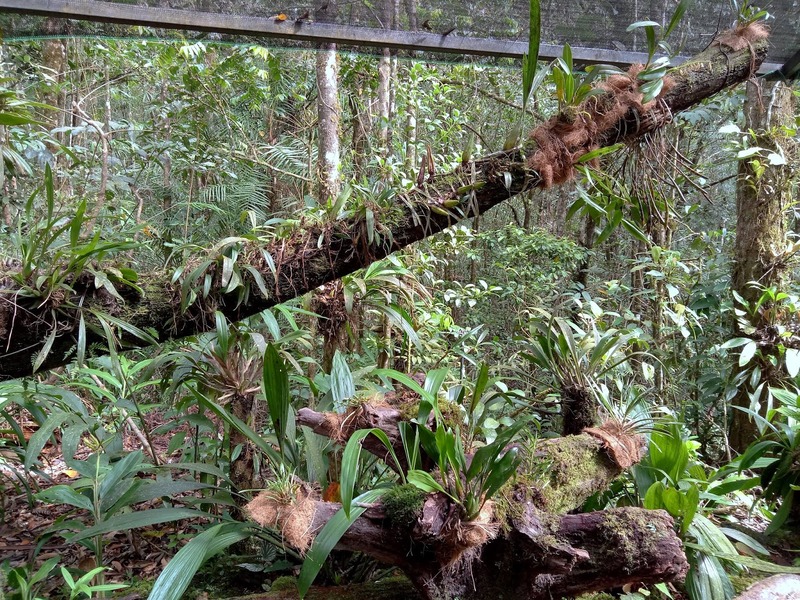 Some even grow on dead wood. Ferns do not have flowers; they reproduce via spores. 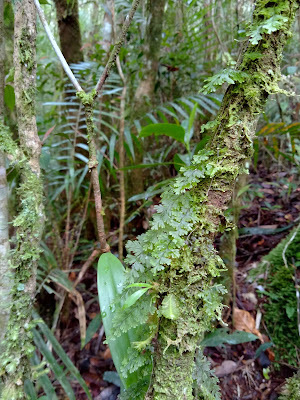 Mosses and liverworts act as a giant "sponge" for rainwater. 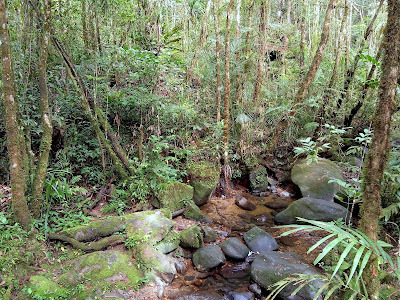 Because they are very sensitive to changes in the ecosystem, mosses and liverworts are early indicators of pollution. 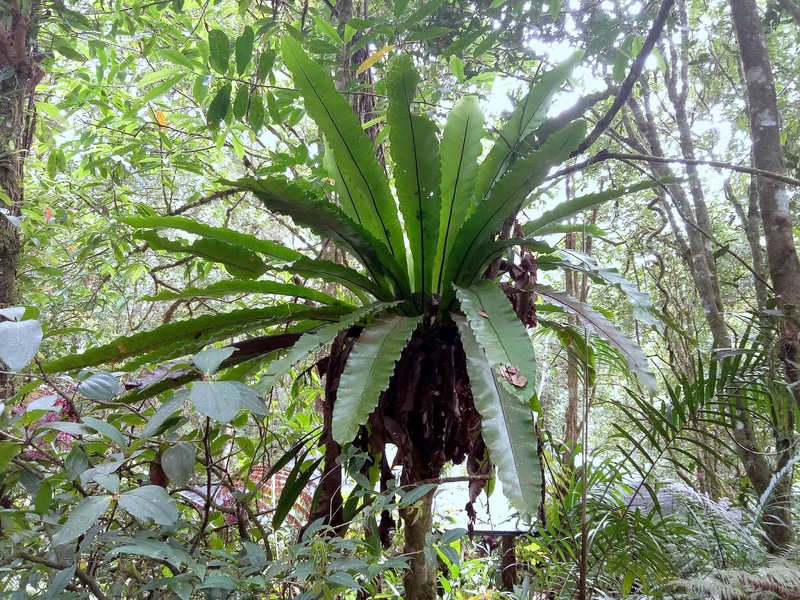 Bird's-nest fern tends to grow on the trunks and branches of trees. 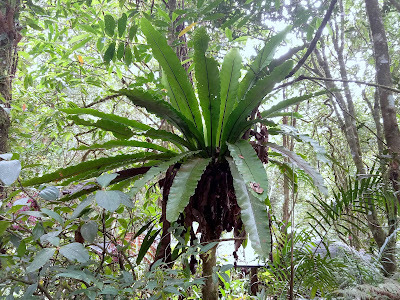 Its nest-like leaves allow the fern to collect rainwater and falling debris. Organic matter provides nutrients to the plant. Pitcher plant is one of the few carnivorous plants in the world. 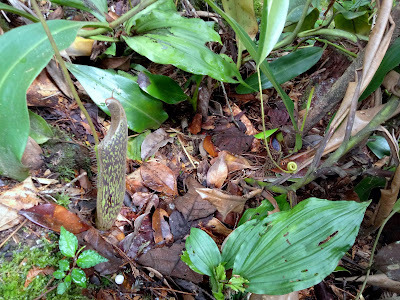 Its pitcher-like leaves contain nectar that attracts and traps small insects. 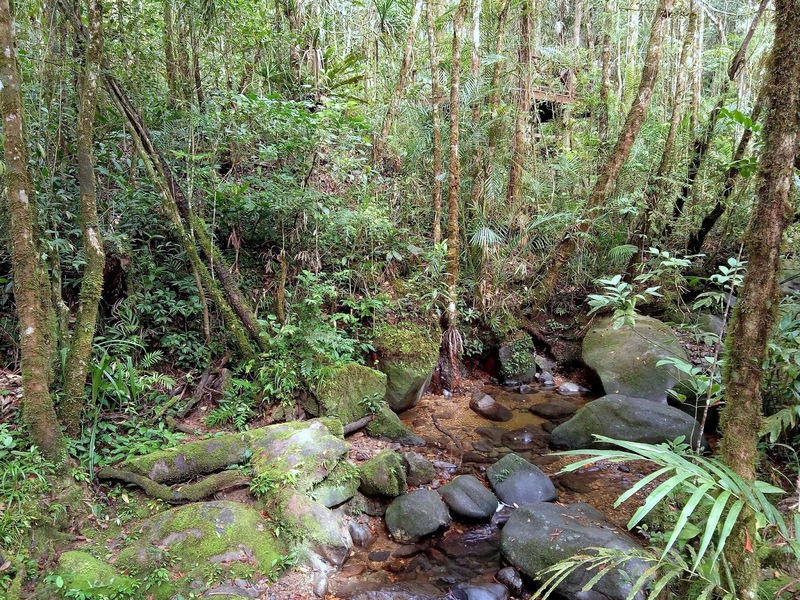 After drowning, the insects gradually dissolve and their nutrients are absorbed by the plant. 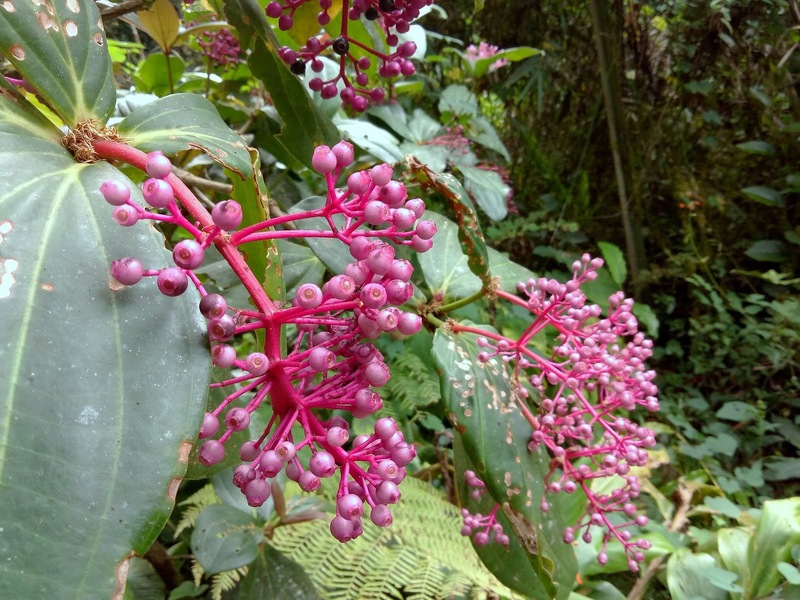 Medinilla, also known as "pink maiden", is one of the most prominent plants in Kinabalu Park. Its bright, pink flowers are easily recognized. Its fruit is an important source of food for birds and squirrels. Medinilla is also used in folk medicine. Lodges and chalets inside Kinabalu Park Headquarters are operated by Sutera Sanctuary Lodges. There are also two restaurants here: Balsam Buffet Restaurant and Liwagu Restaurant. 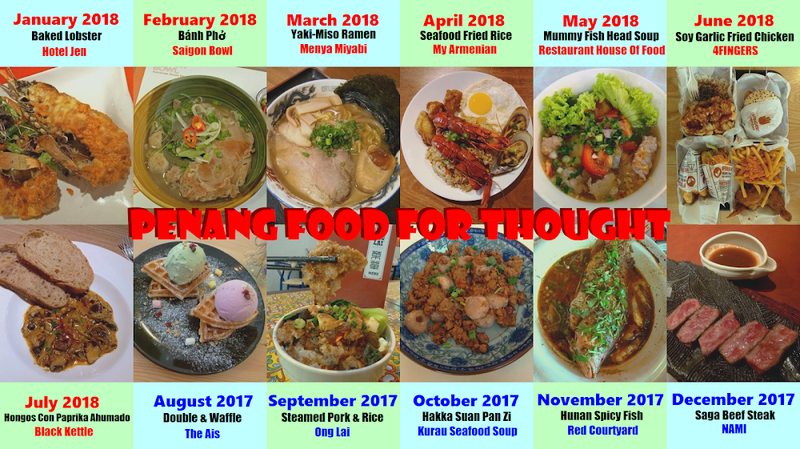 Lodging and food prices are rather expensive. Fortunately, there are cheaper accommodation and restaurant choices just outside the park entrance.